Cheap flights from Amsterdam to Martinique or Guadeloupe from €407! Cheap flights from Amsterdam to Martinique or Guadeloupe from €407! Thanks to current Air France-KLM promotion we have very rare deal for traveliners in The Netherlands planning to visit French Caribbean next main tourist season! Fare is for a round trip inclusive of all taxes and fees. Note that base fare does not include checked-in luggage thought..In most of the cases you will find discounted flights when traveling from Monday to Thursday…This is first time we post some affordable solution on this route moreover currently with good availability in high season..do not miss this Air France promo sale and book cheap flights from Amsterdam to Martinique or Guadeloupe. (Some of the intra European flights are on their SkyTeam partner KLM). Air France promotion offers the cheapest flights from Amsterdam to Martinique or Guadeloupe when traveling from 10th of September to 14th of December 2018 or 1st of January to 30th of June 2019. Max stay 1 month. Discounted flights to French Caribbean with Air France are available till 24th of September or until the cheapest seats last..Travel dates. 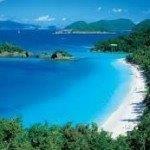 : Compare the cheapest flights Amsterdam-Martinique or Guadeloupe at website of Air France. Martinique is a Caribbean island that is an overseas department of France in the Caribbean Sea, north of St. Lucia and south of Dominica. The island is dominated by Mount Pelee, which on 8 May 1902 erupted and completely destroyed the city of Saint Pierre, killing 30,000 inhabitants. In the South of the island, there are many beautiful beaches with a lot of tourists. In the North, the rain forests and the black sand beaches are worth seeing. The interior of the island is mountainous. Are you up to visit this city then book cheap flights from Amsterdam to Martinique. You can read more about this incredible island in the Caribbean Sea here at Wikitravel. Guadeloupe, sometimes known as the Butterfly Island, on account of the shape of two of its major islands, is a group of islands in the eastern Caribbean, and is a French overseas department. It is located southeast of Puerto Rico. If you have booked these cheap flighs from Amsterdam to Guadeloupe you can read more about this Caribbean isle at Wikitravel. Before you book. : This deal requires airport change in Paris (Charges de Gaulle to Orly). You can benefit from free transfer service via “La Bus Direct” which Air France conveniently offers to their customers traveling on a flight to/from Fort-de-France and Pointe-à-Pitre. Note you will need to claim your luggage before changing airports. Need affordable hotel in Fort-de-France or Pointe-a-Pitre book your accommodation via Booking.com or Hotels.com. If you have booked these cheap flights from Amsterdam to Martinique or Guadeloupe you can also compare best prices for car rental in this destination via Rentalcars.com. Booking sample of cheap flights from Amsterdam to Martinique or Guadeloupe from €407! Your outbound date from The Netherlands to Pointe-a-Pitre would be on 11th of February. Inbound flight from this beautiful Caribbean island back to Amsterdam on 25th of February 2019. Do not miss this very rare Air France promotion from Amsterdam to the Caribbean. Visit beautiful Martinique or Guadleoupe in main tourist season for such an affordable price!